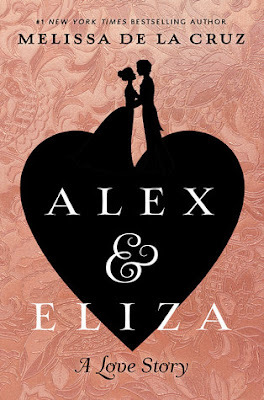 Alex and Eliza is a Hamilton retelling and while I am actually not a fan of Hamilton-(Not a hater, just didn't get in to it!) The hype for this book was real and I wanted to join in on the buzz! I was a pretty harsh critic towards Melissa De La Cruz's other recent novel, Something in Between, and therefore I didn't expect that much from this one but I was pleasantly surprised! 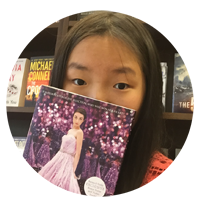 This book takes place in the 1800's and follows-of course, the Schuyler sisters and Alex. Eliza is portrayed as a witty female with a sharp tongue and keen mind. Alex is portrayed as a penniless but brilliant colonel who is a flirt-as he was in history as well. 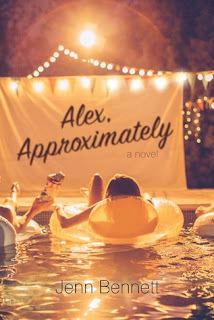 This book was cute, romantic and overall a really pleasant read! This book actually made me a fan of Hamilton and its music! I was thoroughly surprised because the book was very accurate with its characters and settings. It made the story much more accurate and that was another contributing factor to this novel. I really loved the dialogue between Eliza and Alex! It was delightfully enjoyable and witty I found myself laughing constantly at their banter. Have I read better romance contemporaries? YES. Have I read better historical fiction books than this one? YES. However, I have never read a historical fiction novel as jolly as this one. Most of them are so serious there is almost no room for joyfulness-but this was quite the opposite. Although Melissa de La Cruz's writing is by far one of my favorites, I feel that this book will stay with me for a long time!!! Overall, I rate this book a good 4/5 stars! I would definitely say to give this a go even if you're not a big fan of Melissa De La Cruz or Hamilton-trust me, you'll become a fan after this book! This book actually made me a fan of Melissa's writing and I'm definitely looking forward to her future work.